General TV Channel / Khodeyo tv, eastern uganda's best entertainment television for all the latest News, Entertainment, sports and kids programs. 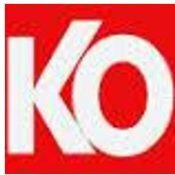 KO TV Uganda (Kodheyo Televsion) is a Lusoga-language (Soga) television station based in Jinja. News videos are available online.